The number of children in care receiving vital health assessments is still not good enough despite ongoing improvements, according to a council report. All children who enter the care system are supposed to receive an initial health assessment within 20 working days – however performance in Bucks has been “varied over a long period of time”. Director of children’s services at Bucks County Council (BCC), Tolis Vouyioukas, said the health assessments have been “an area in need of improvement for some time”. He told a meeting of BCC’s health and wellbeing board on Thursday (March 28) that figures taken from January show 70 per cent of children entering the care system are receiving an assessment – “one of the best performances we have seen in a while”. A council report states says the average performance over the past 12 months was 76.5 per cent – however “performance has varied between 50 per cent and 100 per cent during this time”. Some young people refuse to attend their assessments, while others are placed in different counties – making it difficult for the authority to hit the target. The report states: “Some older children are not seen within 20 days because they refuse to attend. In such cases, appropriate actions are set to ensure that the health needs of the child are understood and met. “For children placed out of county, arranging assessments with other local authorities can be difficult within the statutory timeframe, especially where children move between placements during this time. The report also states that “more needs to be done” to ensure all children over five receive a review health assessment – which are carried out every 12 months – on time. Work has been carried out to ensure all children leaving care are provided with a summary of their health history – with 100 per cent of care leavers being issued with summaries in January 2018. The report concludes: “Whilst there has been significant work to drive improvement, it is recognised that performance is not yet good enough. “Performance is robustly monitored and challenged by the clinical commissioning group on a monthly basis via routine contract monitoring and reported every two months to the corporate parenting panel. 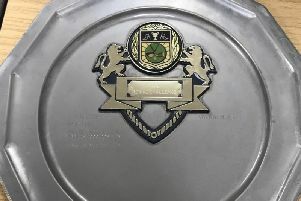 Can you help police reunite silver plaque found in Aylesbury with its owner?